There may not be many Bionic Wookiee updates for the rest of July, as I’m currently off on a photographic expedition through Namibia. Yes I’ve taken my T1D, my coeliac disease, and my cameras and headed off for 3 weeks self-drive around parts of Africa (I am after all amongst other things a professional nature photographer and tutor). There are four of us in the group. 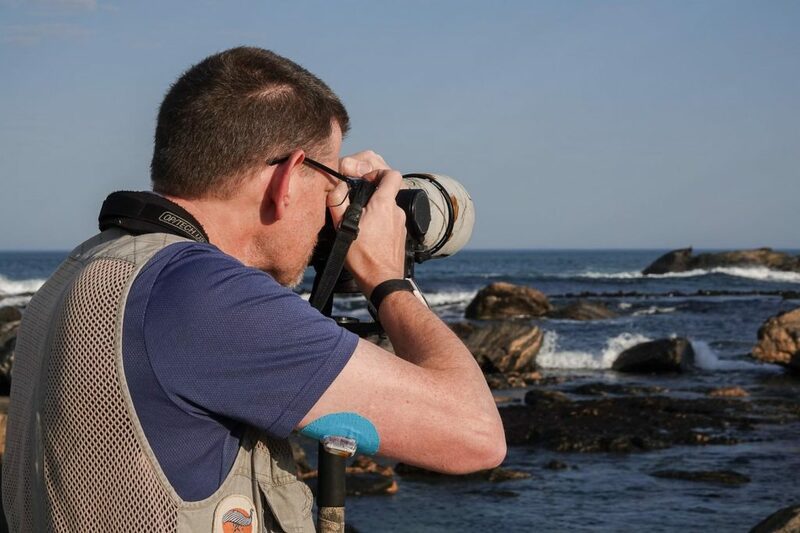 Here’s a photo of me taken down by the coast near Lüderitz this morning as I was photographing some fur seals. You will of course notice the CGM sensor on my arm. This is a Dexcom sensor (covered with a blue RockaDex patch). But instead of having to replace the G5 transmitter on it every 3 months, this G5 transmitter has been reworked with a USB-rechargeable battery. This is one of the prototypes of the “Fenix” I’ve been testing for my very clever friend Simon. It recharges via a waterproof magnetic connection, and the profile is about the same as an original G5. The battery life on this version should be 1-2 months between charges (which of course is one of the things I’m testing). Almost a week into the trip, my OpenAPS closed-loop pump system is running very well. I did have a few hiccups early on which were basically due to me under-counting the carbs in some foods (dealing with a gluten-free diet in a foreign country is often an extra challenge) but that all seems under control now (and I’ve worked out how to count for the “Hunter’s Dry” cider). As per usual I’m travelling with backups for everything: two supplies of insulin (one Apidra, one Humalog), backup pump, backup OpenAPS rig, CGM, etc, etc. But that’s been par for the course for me when travelling over the last 35 years. There are several BionicWookiee articles planned for some of the research I’m doing during this trip. 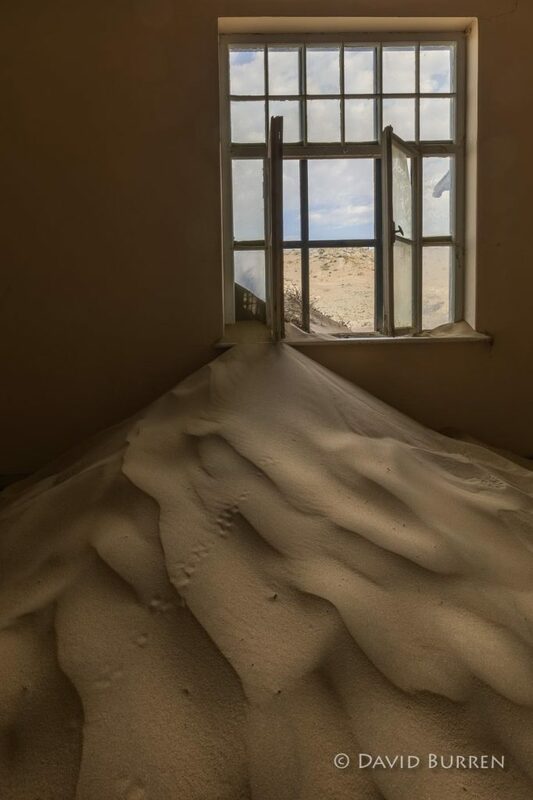 Inside a room of the hospital of the abandoned mining town Kolmanskop, being overwhelmed by the desert. There will undoubtedly be several Bionic Wookiee updates before I return to Australia at the start of August, but not as many as usual. 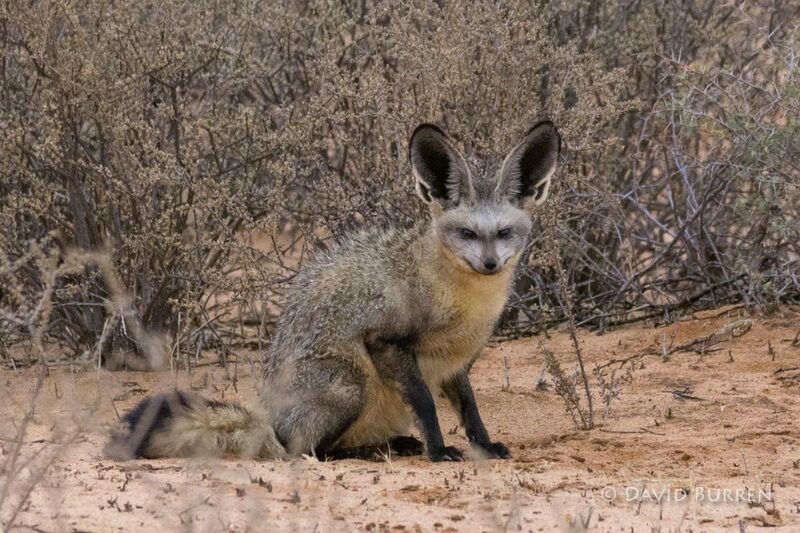 We’re off back to the dunes of the Namib Desert tomorrow! What type of battery are you using in the transmitter? Where did you/your friend buy it? It’s a 60 mAh cell combined with a tiny custom PCB with the charging and regulation circuitry. It’s a prototype, not a product yet. Hey, someone left the window open again. Man I hate when that happens.